At MySIPonline, experts perform long research to provide investors with the top performing mutual funds. Here we suggest the top performing diversified equity funds to the investors who have an appetite of tolerating moderately high-risk. This is because the funds under this category predominantly invest 70-80 per cent of the corpus in equity and equity-related securities. They secondarily invest in debt and money market instruments to keep the minimum liquidity as mandated by SEBI. Portfolio Allocation of a Fund: With the re-categorisation of funds by SEBI, it has become mandatory for the fund houses to invest across the market if it is a multi-cap fund. This is because, earlier, funds invest only in bluechip companies rather than investing in all the market caps. So, investors who want to invest in diversified equity funds should look after the diverseness in the portfolio. They should consider the funds which provide the best combination of growth, risk as well as valuation. Besides this, you may also consider the various ratios of fund such as its portfolio turnover ratio, which will show how fast the fund manager is churning the stocks, and the P/E ratio of the fund, which will ensure the quality of shares that are held by it. Objectives of the Fund: All funds aim at providing capital appreciation to the investors; however, only a few could reach the goal, beating its benchmark and category’s average. 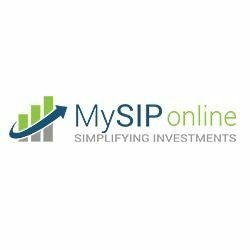 The financial analysts of MySIPonline suggest those funds which are just not providing good trailing returns but have also outperformed its benchmark and category in rolling returns.At the same time, we need to check if these funds let you reach the long-term financial goals such as child’s education, child’s marriage, retirement plan, tax saving, etc. Investment Strategy: The investment philosophy of a fund is essential for its returns and growth. We follow the past returns of the fund and then determine that in which market cycle the convictions of fund managers are failing, where the investment strategies of the fund are lacking or what is the best part of it. Expense Ratio: The maximum limit of expense ratio of any fund is predetermined by SEBI which is 2.50% per annum. Therefore, before suggesting any diversified equity mutual fund, we compare its cost with other funds of the category. However, if the fund is making gains, then it will be good in the long run because this will compensate the expenses. Selecting any best fund is a complex task in itself. You may use the above parameters to get to know are they performing well or not, but sometimes, it is too complicated to understand them. So, you can connect with our experts via call or email at MySIPonline.